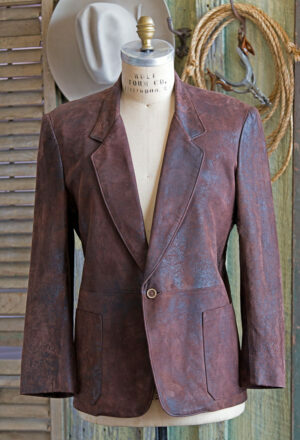 This custom Sam Wolf Frontier Jacket made in deer skin has an authentic mountain man look. 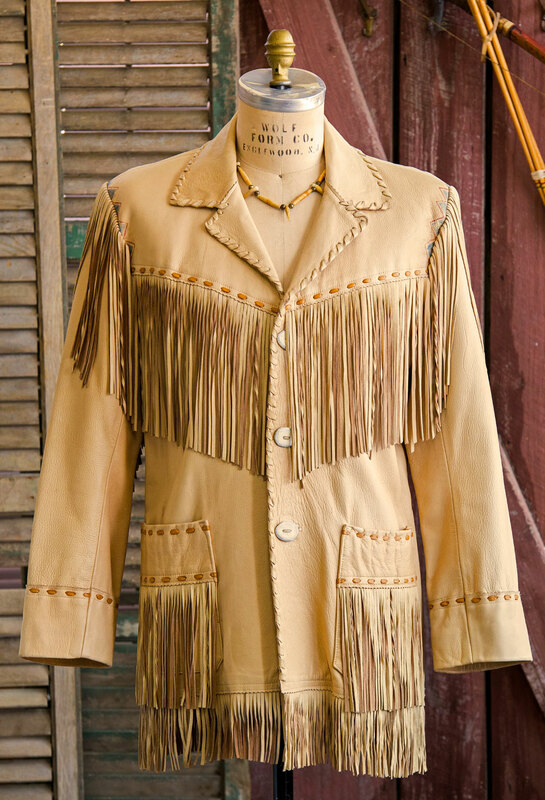 Our Frontier Jackets are painstakingly made for you, one at a time. 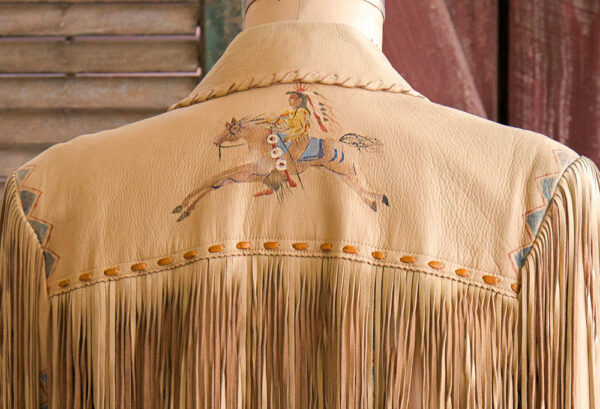 This coat features a hand painted Patricia Wolf Cayuse pony and rider design on back yoke, and subtle zig zag paint designs on the back of the sleeves and over each shoulder. Fringe is abundant on front and back. Fringe was originally a functional detail on buckskin clothing in the old days to allow the garment to shed rain, and dry faster when wet because the fringe can wick away water more quickly. 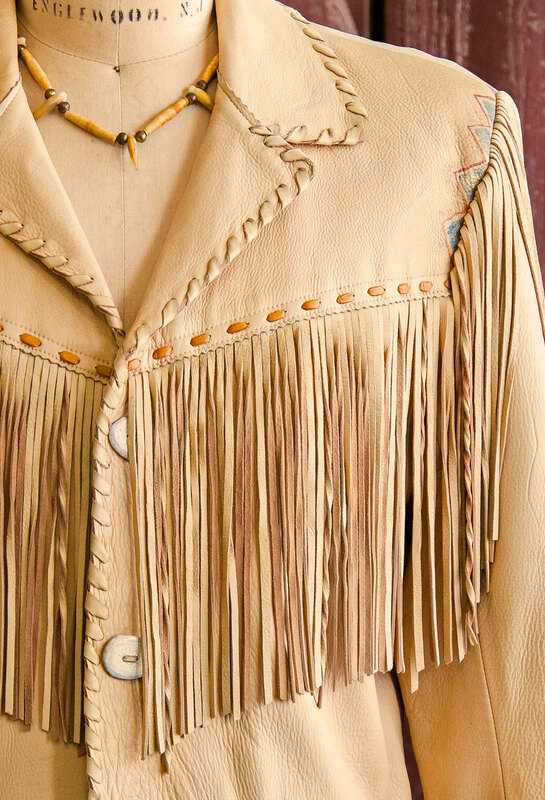 The hand lacing on collar and lapels, pockets, yokes and cuffs is beautiful, but it also acts to strengthen the seams for durability. 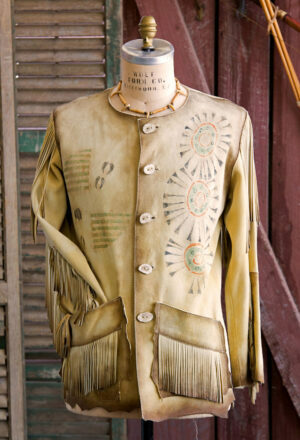 The jacket closes with 3 deer antler buttons and has and inside pocket. 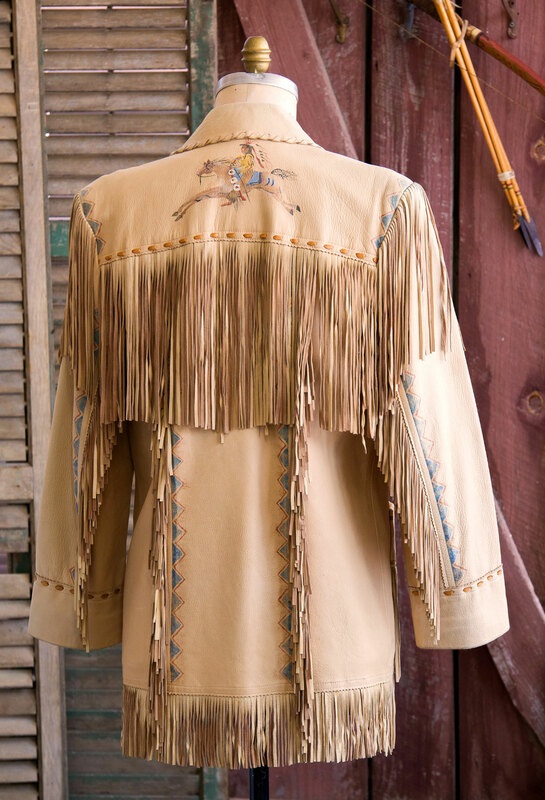 Please contact us to customize paint designs or bead work. 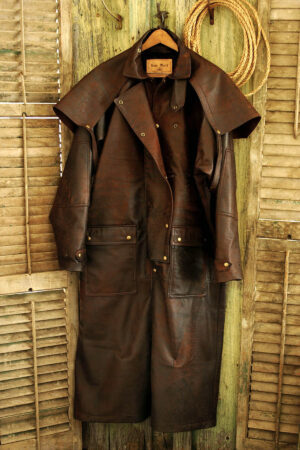 Shown in Caramel deer skin.